Sound Testing is a requirement under Approved Document Part E. Sound testing is applicable to new dwellings, flats and conversions. Sound testing needs to comply with Building Regulations. Approved Document E of the Building Regulations requires new buildings (houses and flats) and conversions to demonstrate acceptable levels of airborne and impact sound insulation performance between separating walls and floors. There are two approaches for sound testing to comply with Building Regulations Approved Document E.
Traditional sound testing approach is a physical on-site test which is carried out. It can be used on both new build and conversions. Approved Document E gives guidance and detailsfor different scenarios of construction in relation to sound testing. This includes materials, thicknesses and material density. Following these details alone do not make the walls, floors etc. exempt from a sound test. It does however give a great starting point for design purposes. It is worth remembering that the guidance in Approved Document E is for minimum standards and therfore elements with a greater acoustic performance can be designed. Do not have carpets laid. Ensure windows are installed and sealed and trickle vents are covered for the test. All sockets, phone points have been fixed. Externsl and internal doors are fitted. Skirting board, coving in place and sealed. The dwelling should be empty of all contactors and allowances made so no external noise can affect the sound testing proceedure. This is the second method to demonstrate Approved Document E compliance. This approach eliminates the need for sound testing as long as the details in the Robust Details are followed and approved. 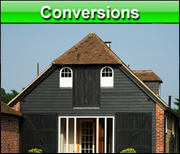 Robust Details are applicable to new dwellings only, not conversion schemes. Please click here for Robust Details information. Please contact us if you have any questions regarding sound testing.